Cosmos Raines is a genius who has invented a portal opening it into a distant star system where a species known as the Prime live. The Prime have been searching for woman who are compatible with their species. They have found them on Earth. Jasmine “Tinker” Bell has always had a love for life, looking forward to any new adventure that happens to come along. When a friend’s experiment creates a portal to another world she finds herself swept into a faraway galaxy she thought only existed in the movies. J’kar ‘Tag Krell Manok had given up hope of ever finding his bond mate. He is surprised when a pint-size female unlike anything he has ever seen suddenly appears on his spaceship to save the life of his brother during an attack. When she is suddenly taken from him he will do anything to get her back and claim her. Two different worlds collide when Tink, a mechanic in a small college town, meets J’kar, a Prime warrior from a far off galaxy. When Tink’s life is in danger, only J’kar can save her. Now Tink has to decide if she is willing to give up everything she has ever known and loved to stay with the alien she has fallen in love with. Will their worlds survive the collision or will they be torn apart? Hannah Bell, the oldest of the three Bell sisters, spends most of her time in the remotest parts of the world photographing endangered animals. She is also gifted with an extraordinary sixth sense which has saved her life on more than one occasion. When she senses something has happened to her littlest sister, Tink, she will do whatever it takes to protect her. What she doesn’t know is her sister’s best friend Cosmos’ new science experiment has opened a portal to another world. A world she is about to be taken to whether she wants to go or not. Borj ‘Tag Krell Manok is the calmest of his four brothers, or so he always thought. The second oldest, he has been assigned the task by his father and the council to bring the sister of his brother’s bond mate to their world. 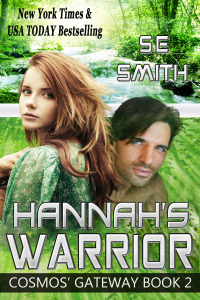 Borj knows deep down that Hannah is destined to be his bond mate, something he has hoped for since his first mating rite ceremony. What he doesn’t expect when he meets her is her resistance or her independence. When she is kidnapped by a rival clan, Borj will do anything to get her back. 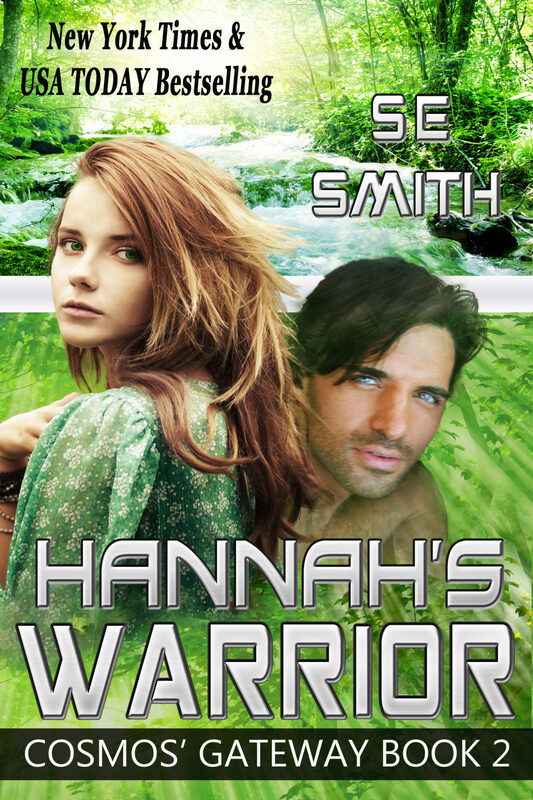 Hannah and Borj’s escape into the vast forests of Prime draw them together in a fight not only for their lives but for a deeper understanding and trust between two vastly different worlds. Borj discovers Hannah is a fierce and cunning mate while Hannah discovers Borj is the perfect warrior to protect and love her. Tansy Bell, is the middle daughter of the three Bell sisters. She has always been a little different, even for a Bell. A chameleon, she can change her appearance and personality to blend in almost anywhere. She uses this talent to bring some of the worse criminals in the world to justice. Mak ‘Tag Krell Manok is the wild one of his four brothers. He is known for his hot temper, fierce strength, and skills as a warrior. Few men in any galaxy dare to challenge him and live. Frustrated at his failure to find females compatible with a Prime male, he returns to his home world only to discover his oldest brother has found his bond mate – in an unusual species known as a human. What is even more astonishing is his reaction to an image of his brother’s bond mate’s sister. Mak has set a new course – for Earth and the female that stirs his blood to fire! But first, he has to find her. Next, he has to convince her she belongs to him. If all else fails, he will just take her, after all, she is delicate, fragile, and no match for a Prime warrior. What he doesn’t expect is to find her in trouble and fighting for her life. Now, he must save her before it is too late. But, even then there is no guarantee that she will come with him. For this small, fragile female has the strength and determination of twenty Prime males and values her independence. Mak is about to learn that big trouble can come in very small packages and size is often a misconception because there is one female in the universe not afraid to stand up to him – even if she is afraid to love him. Can he keep her alive long enough to realize she is the perfect mate for an untamed warrior or will the men determined to kill her take not only her life but his as well? Cosmos Raines is considered to be one of the most brilliant inventors in the world. A prodigy, he is a self-made billionaire who would rather be in his lab than jet-setting around the world. Things change when his latest experiment literally opens a Gateway into a whole new world. Now, not only has his best friend and her family moved to a new star system through the Gateway he has opened but he finds himself with a warehouse full of alien guests, including one very aggravating female that has turned him inside out. Terra ‘Tag Krell Manok has spent her life in the shadows of her three older brothers. Her home world of Baade is a male dominated world where females are few in numbers and protected to the point of captivity. Terra’s father is the high chancellor of the Prime and considered to be the fiercest warrior of their world next to her brothers. No one defies him and lives. Terra is surprised when her father suddenly sends her through the Gateway into hiding to protect her from a clan insisting that she be mated for political purposes. The last thing she expects to find there is her bond mate – in the form of a human male! 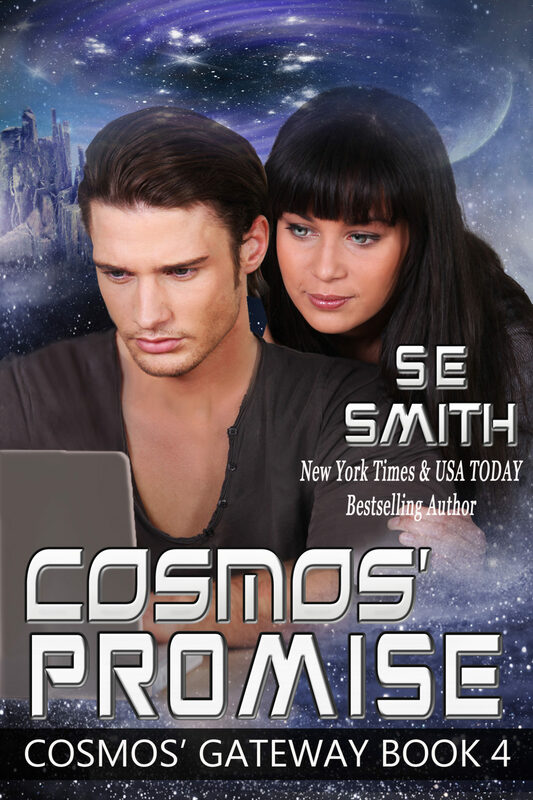 Cosmos may not have been expecting to find the woman of his dreams on the other side of the Gateway he built but he knows one thing for sure – no one is going to take her away from him – not the clan who wants to use her nor her father who thinks all human males are worthless. When she is taken from him, he will use every bit of his intelligence and ingenuity to not only track her down but steal her back. He will prove that human males are just as much a warrior as a Prime one, especially when it involves the woman he loves. Merrick Ta’Duran is the powerful leader of the Eastern Mountain Clan on the Prime world of Baade. His people, known as the Ghosts of the Forests, live high in the Eastern mountains. Merrick feels the weight of responsibility as the males within his clan become desperate to find mates among the few remaining females. When word comes that a new species has been discovered, he knows he must do what is right for his people – even if it means traveling to a strange, alien realm to do it. Merrick’s world changes when he is injured and captured by a ruthless group of humans. Drugged and held against his will, he is the subject of experiments and testing as the humans try to discover where he came from and duplicate his strength and ability to heal quickly. After months of captivity, he fears his life will end on the strange world until one chance encounter gives him hope. Addie Banks’ world has been one of silence since a devastating illness when she was sixteen. Determined to stand on her own two feet, she goes to school during the day and works at night to put herself through college. Her life unexpectedly changes when she stumbles across something she wasn’t supposed to see while at work. Now, she hears a voice in her head – and it is driving her crazy. Her only hope for peace is to help the creature talking to her escape from the men holding him. Merrick knows the female who helps him is his bond mate. She may deny it. She may fight it. She may even try to run from it. It won’t matter. She is his and he will do everything he can to convince her, hold her, even kidnap her if that is what it takes to make her realize that they belong together. Will Addie hear the love and longing in Merrick’s voice? Can she trust and accept the new life he has to offer? Or, will a ruthless killer silence him before she gets a chance? Hi Jayne, Susan expects to have Saving Runt out in April 2019. I will let you know a specific date as soon as I can. Thank you for being so patient. I love this series and I can’t wait for Saving Runt! Do you know an approximate date when it’ll be released? Rebekah, I expect Susan to release Saving Runt in April 2019. We will let you know a definite date as soon as we can. At the back of Core’s Attack there is a list of the Cosmo’s Gateway books and it lists a prequel……Tilly gets her man but I can’t find it. Is it yet to come please? Core’s Attack is coming out on December 18th. There will be no preorder for it so stay tuned for buy links. Saving Runt will be out early next year. You get to see more of Runt in Core’s Attack. It was wonderful getting to know her. Thank you, read Core’s attack and excited to get Runts story soon. Also got the free Jabirs story for Christmas so please thank Susan for her incredible talent and generosity. Thank you so much, Jayne. I love giving back to my readers as they have given so much to me. Hugs, Susan. What happened to Cores attack and why is saving runt not available in kindle..
Core’s Attack is out July 10th and Saving Runt is out July 31st. There is no preorder for either ebook yet though. I am seeing Derek and Runt’s book on amazon out July 2018. Have a copy in my cart. Does this mean number 6 will be out sometime soon? Core’s Attack is out July 10th and Saving Runt is out July 31st. There is no preorder for either ebook yet though. Jarmen’s Jane Doe will be out in November/December 2018. I’ve seen that a few people have rated Core’s Attack (Cosmos’ Gateway #6), but I can’t locate an editon for sale. Can you tell me anything? Hi RuthAnn. I have no idea how they have rated it unless it is a want to read as Core’s isn’t out yet. It is on the schedule for this year if all works out, though. I do want to write Core and Avery’s story so I can then write Runt and Derik’s! Please hurry S.E. Smith. This is a great series! I absolutely love this series and hope that you continue with more than the 2 upcoming that you are wishing to write. There are a lot more coming in the Cosmos’ Gateway series. It is an amazing world and the characters have captured my heart and my imagination. Hi, I see an upcoming release date for book 7 in July 2018; has book 6 (Core’s Attack) been released? I can’t find it anywhere! Core’s Attack will be released on July 10th and Saving Runt will be out on July 31st. I don’t have preorder for either of these ebooks yet. I’ve seen the same reviews on good read but can’t find the book. I’d it likely to be published this year? 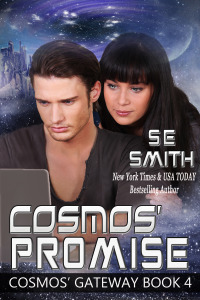 Will you be writing a book for Derik and Amelia in the Cosmos Gateway series? Yes! 🙂 It will be after Core’s Attack. When will that be? It has been almost 2 yrs since you released a book in this series. Could you please put out a tentative schedule of releases. Two years!! Where in the heck has time gone???!!! It seems hard to believe that it is going so fast. Core’s Attack is on my short list. I really can’t believe how fast time is speeding by. I hate putting out a release date as it frequently changes with the new ideas and life, but I can come up with a tentative schedule. Please understand that it will probably change though!